The European Investment Bank (EIB) is the long-term lending institution of the European Union owned by its Member States and makes long-term finance available for sound investment in order to contribute towards EU policy goals. On his visit to Bondholder Rolls-Royce today, EIB Vice President Jonathan Taylor, confirmed a £280m loan of support for the firm for the research and development of Rolls-Royce aero engines - the largest long-term loan given by the EIB to Rolls-Royce and indeed one of the largest given to a UK company. The 7-year loan supports the development of the higher thrust version of the Trent XWB aero-engine and demonstrates both the EIB and Rolls-Royce's confidence in developing the technology in Derby. Since the beginning of this year, the Trent XWB-84 – the world’s most efficient large aero engine – has been powering the Airbus A350 XWB airliner in commercial service. The forthcoming larger version of the aircraft – the A350 XWB-1000 – will employ a different version of the Trent family, the 97,000lb-thrust Trent XWB-97. The engine is currently undergoing a rigorous test regime as it prepares for first flight later this year and subsequent entry into service on the A350-1000 in 2017. 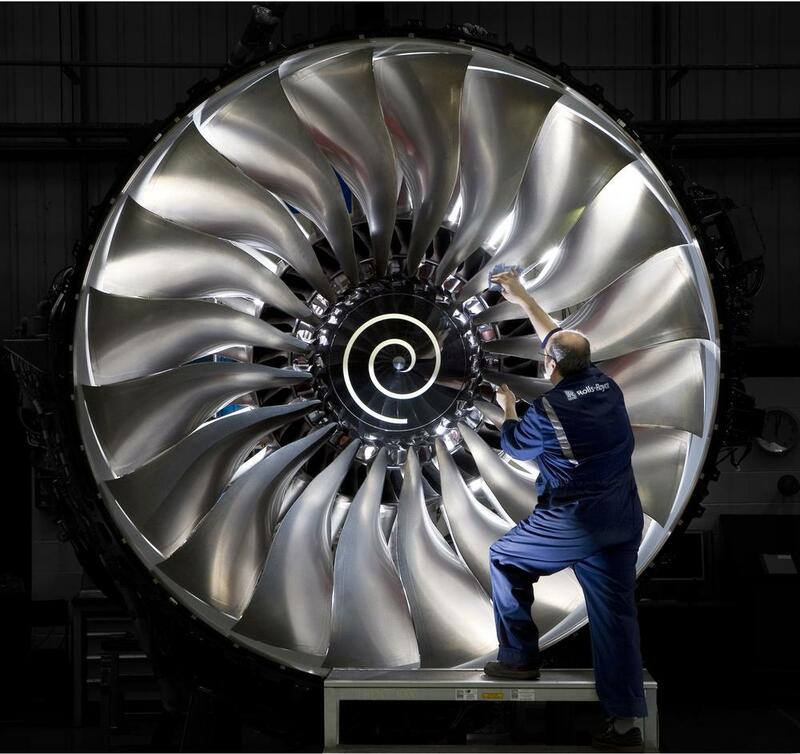 Rolls-Royce employs over 54,000 people and is one of the world's leading producers of aero engines for large civil aircraft, corporate jets and the defence market. Last year the company invested £1.2billion in research and development. The EIB has provided more than £723million for investment by Rolls-Royce in the UK in the last decade, as well as supporting research and development by the company elsewhere in Europe.